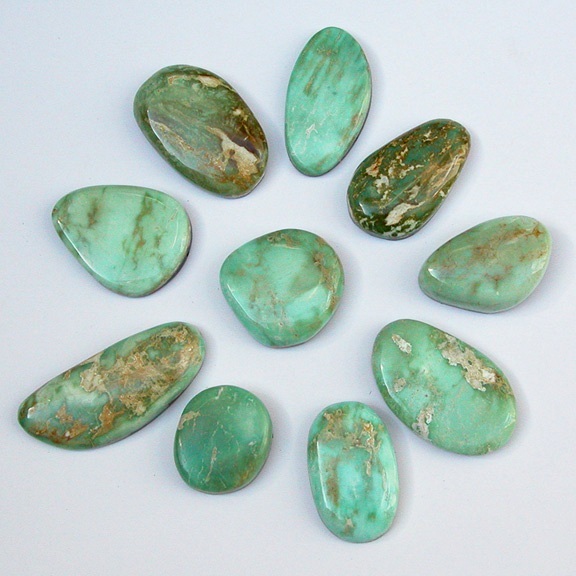 These samples of green turquoise come from the Little Chalchihuitl Mine in Cerrillos, New Mexico. Limited amounts of the green turquoise are found there. The green coloration is due to iron.